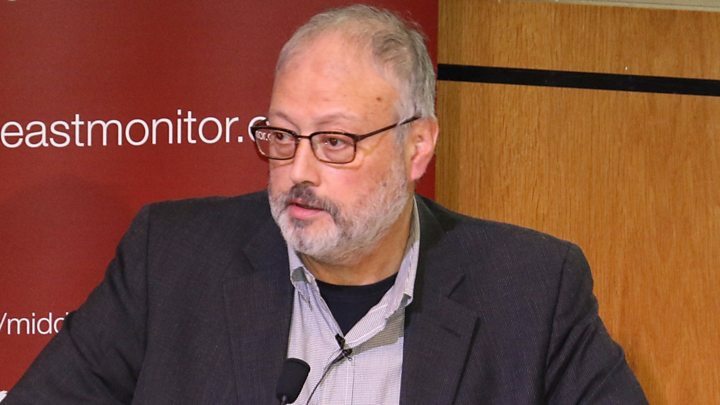 Canadian intelligence has heard an audio recording of the killing of the Saudi journalist Jamal Khashoggi, Prime Minister Justin Trudeau has confirmed. “Canada has been fully briefed up on what Turkey had to share,” he said. Mr Trudeau is the first Western leader to confirm his country has listened to the purported tape of the murder at the Saudi consulate in Istanbul. Turkey’s president said on Saturday that he had given copies to the US, UK, Germany, France and Saudi Arabia. However, the US has not said whether it has received a tape and France’s foreign minister has said it is not in possession of one as far as he is aware. The Saudi government has admitted a team of agents murdered Khashoggi, a prominent critic who was living in self-imposed exile in the US and writing for the Washington Post, and it has arrested 18 people allegedly involved. At a news conference in Paris on Monday, Mr Trudeau said Canadian intelligence agencies had been working very closely with Turkey on the murder investigation. “I had a conversation with Erdogan a couple of weeks ago over the phone. Here in Paris we had brief exchanges and I thanked him for his strength in responding to the Khashoggi situation,” he added. When asked whether Canada had heard the purported audio recordings, Mr Trudeau said “yes”. But he added that he had not listened to them personally. The director of the Canadian Security Intelligence Service (CSIS), Canada’s spy service, travelled to Turkey to discuss the investigation and listened to the recording, a CSIS spokesman later told the BBC. The director then briefed Mr Trudeau and other Canadian officials on his visit to Turkey, the spokesman added. Mr Trudeau sidestepped a question about whether such evidence would have consequences for Canada’s relationship with Saudi Arabia. “We are in discussions with our like-minded allies as to the next steps with regard Saudi Arabia,” he said. Mr Trudeau has faced calls to cancel a $13bn (£10bn) arms deal with Saudi Arabia for tanks and armoured fighting vehicles built by an Ontario-based unit of the US firm General Dynamics. Relations between the two countries are already strained. In August, Saudi Arabia accused Canada of violating its sovereignty and froze new trade after Canadian officials called for the release of detained civil society and women’s rights activists. In a separate development on Monday, Turkey reacted angrily after French Foreign Minister Jean-Yves Le Drian contradicted Mr Erdogan’s assertion that France had received an audio recording from the consulate and accused the Turkish leader of playing “political games”. The Turkish presidency’s communications director called the comments “unacceptable” and insisted a representative of French intelligence had listened to the tape on 24 October. “If there is miscommunication between the French government’s various agencies, it is up to the French authorities – not Turkey – to take care of that problem,” Fahrettin Altun told AFP news agency. 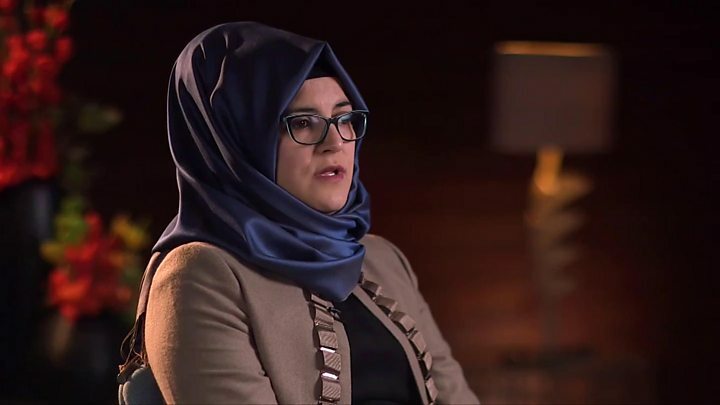 Khashoggi was last seen entering the Saudi consulate on 2 October to obtain documents he needed to be able to marry his Turkish fiancée, Hatice Cengiz. Saudi officials initially said the 59 year old had left the building alive, but were eventually forced to admit that he was killed in what they described as a “rogue” operation by intelligence agents. However, Saudi officials have denied that the attack was ordered by Crown Prince Mohammed bin Salman, the kingdom’s de facto ruler, despite several of the men accused of killing Khashoggi being seen in his security detail in the past. Two top advisers to the prince have also been sacked over the incident. Mr Erdogan has said “the order to kill Khashoggi came from the highest levels of the Saudi government” but that he does not believe King Salman gave it.